Last week found us in Boca Raton, Florida for a few days and on the first day we were excited to find an Einstein Bagels shop on our first drive downtown. Einstein's is a favorite of Laura's and we haven't been able to find one since moving to Atlanta. 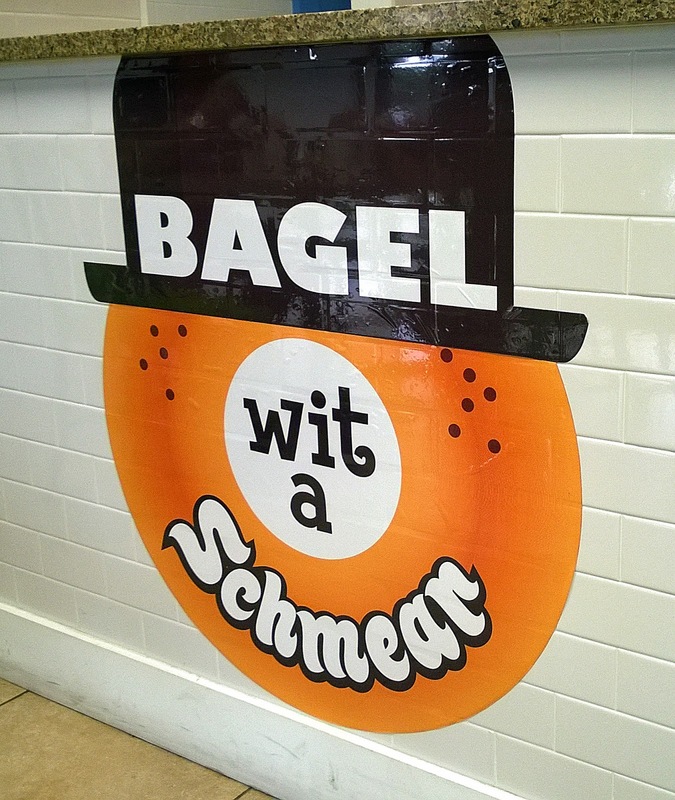 The next morning I did a search for bagel shops around town and struck gold in Bagel Wit A Schmear...the name says it all. It was love at first sight for Laura when she saw the sign behind the counter. 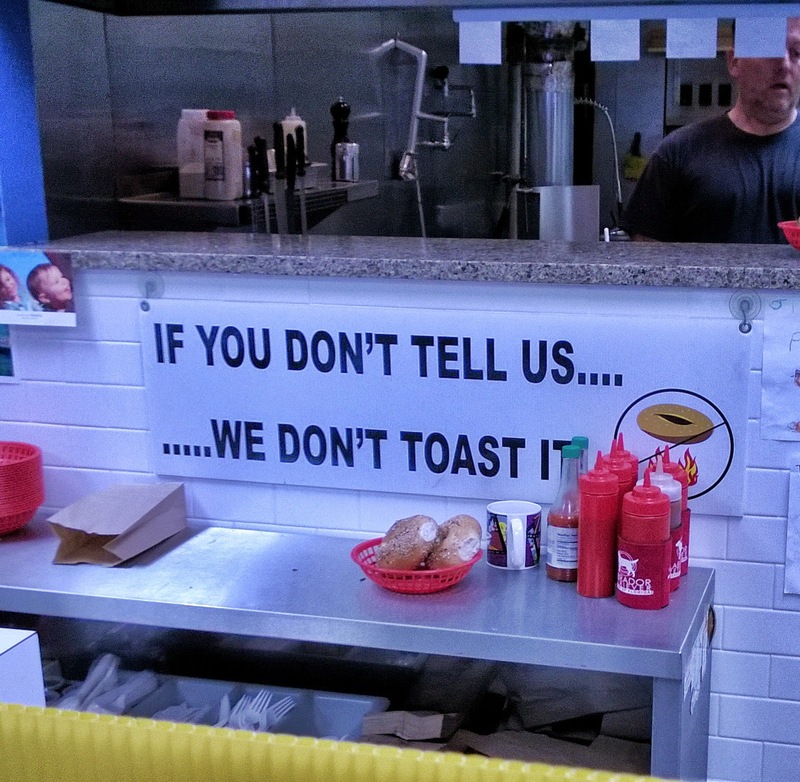 The bagels were of course amazingly fresh. The bagel sandwiches all had interesting names but my particular sandwich name escapes me. 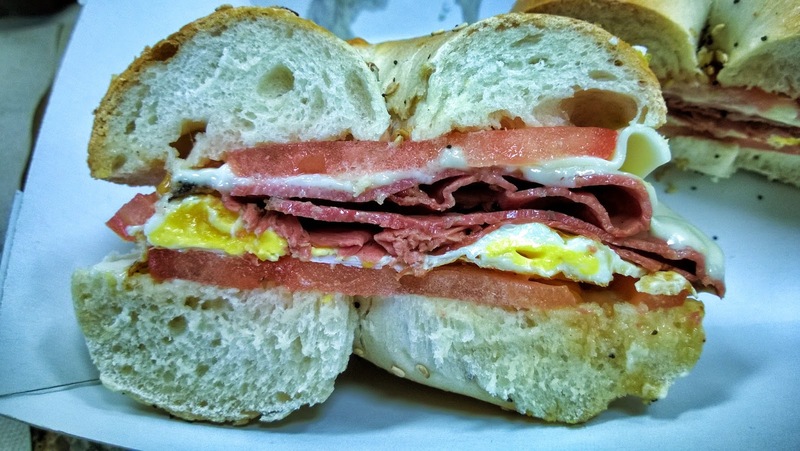 It was pastrami, fried egg, tomato, and cheese on an everything bagel. 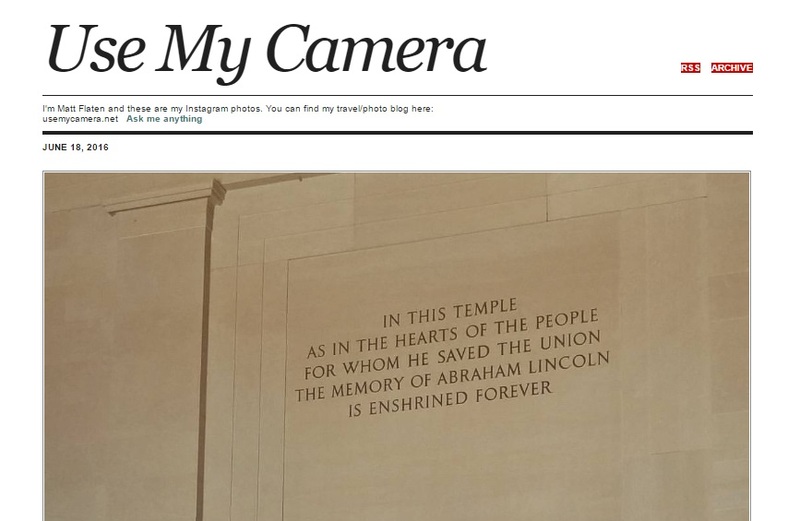 It was so delicious I've made it my blog's logo for the immediate future. 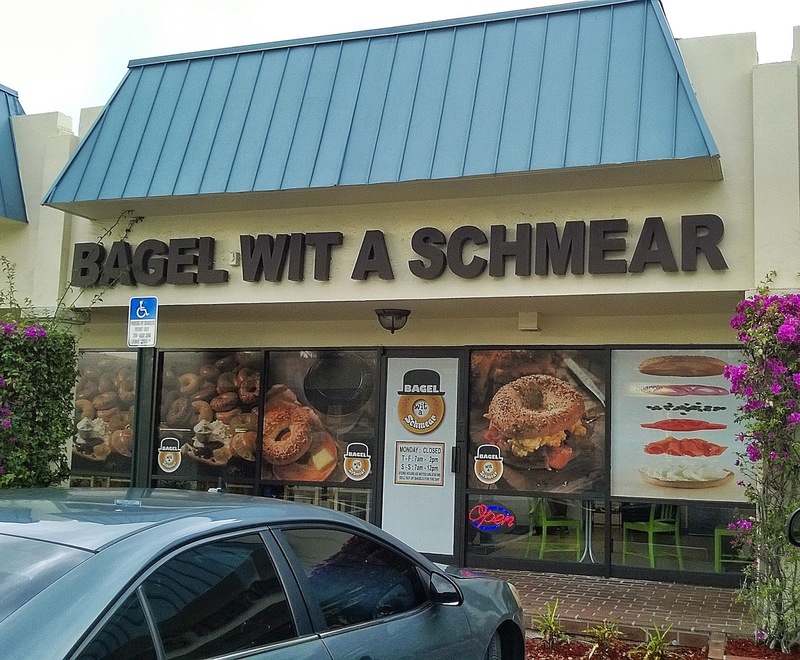 Bagel Wit A Schmear will definitely get a return visit next time we are in South Florida.